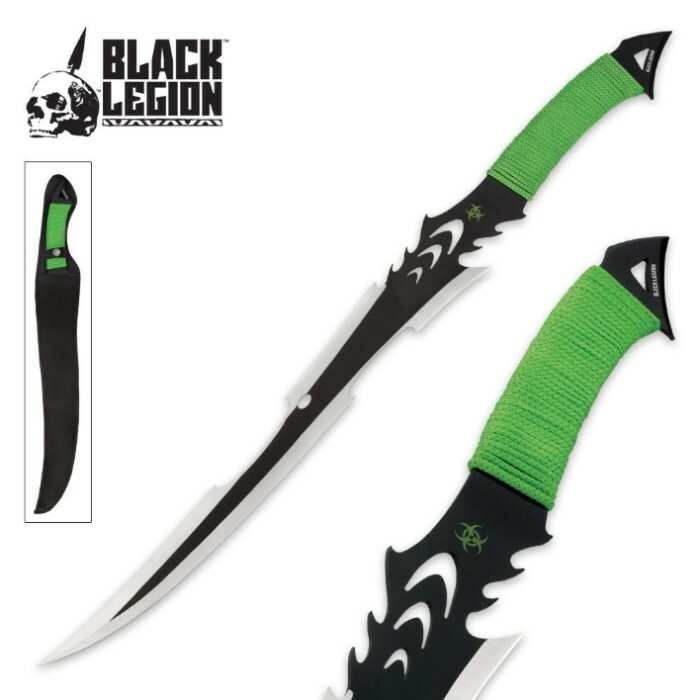 Black Legion Green Death Stalker Sword | BUDK.com - Knives & Swords At The Lowest Prices! 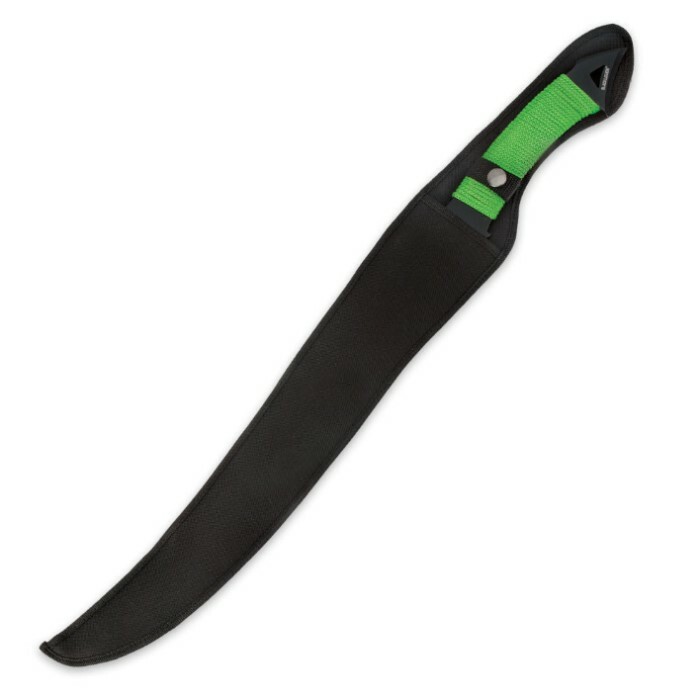 This sleek Death Stalker sword from Black Legion is crafted from one solid piece of stainless steel with a black coating and blade cutouts. This sword is sure to unleash fury on the Undead, should the need arise! 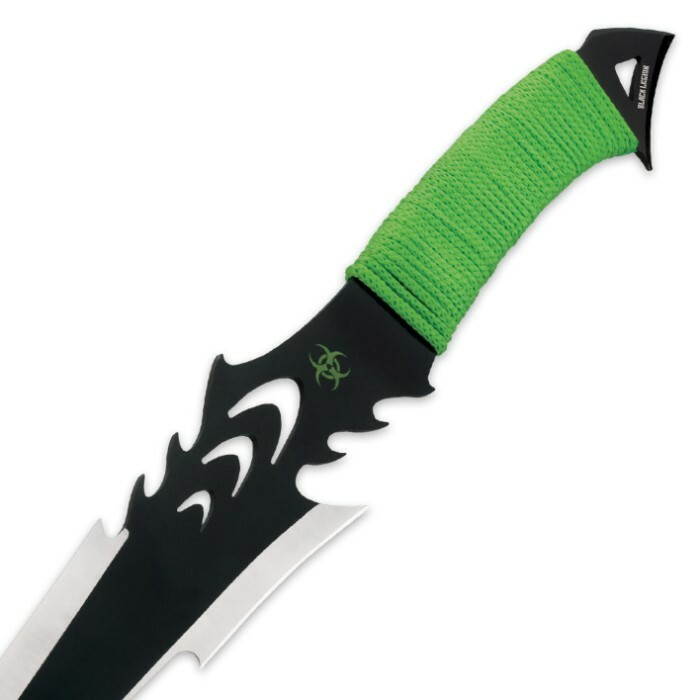 Equipped with a bright green nylon cord-wrapped grip, this is the ultimate Undead sword! It's a solid piece, the tips are very sharp. The only real issue is it catches on it's sheath a lot! Definitely not a quick draw weapon. Overall great buy.